Different factors can cause your cholesterol to reach unhealthy levels. Some you can’t control. Others you can. You can’t change the fact that high cholesterol runs in your family. And you can’t do anything about getting older—your cholesterol levels tend to rise as you age. But you can control your lifestyle. For example, by following a healthy diet, you can improve your LDL (bad) and HDL (good) cholesterol, which will help reduce your risk for heart disease and other health problems. Here are 5 diet tips that can help improve your cholesterol. Whole-milk dairy products like butter, cream and cheese. Sausage, bologna and other processed meats. Fatty cuts of meat and poultry with the skin on. Like saturated fat, trans fats—or trans fatty acids—can raise your LDL levels. Trans fats are found mostly in foods made with hydrogenated vegetable oils, such as hard margarines; baked goods like crackers, cookies and breads; and foods fried in hydrogenated shortening, such as french fries. Soluble fiber can prevent your body from absorbing cholesterol. Good sources of fiber include whole grains like oatmeal; fruits like bananas, pears, apples and berries; vegetables like broccoli and Brussels sprouts; and beans. It’s a good idea to increase your fiber intake gradually and increase your water intake at the same time. A sudden increase can cause abdominal cramps and bloating. Stanols and sterols occur naturally in many plants. 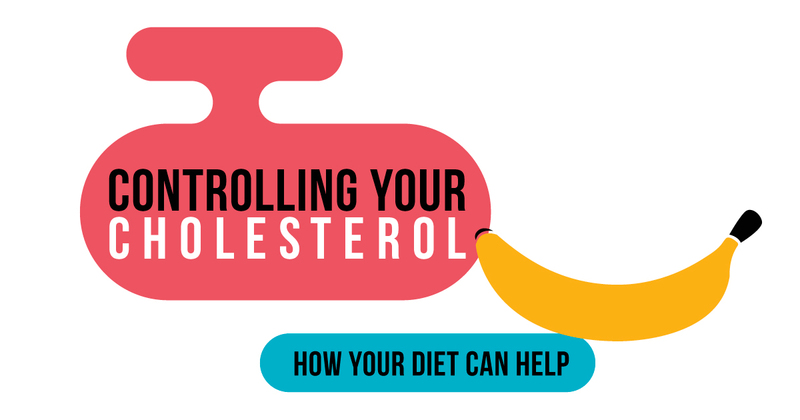 Like soluble fiber, stanols and sterols help block the absorption of cholesterol from your digestive tract, which can help lower your LDL levels without affecting your HDL. Some foods (like orange juice, milk, bread and margarine) have been fortified with stanols and sterols. Research suggests that eating about 2 grams of either stanols or sterols a day may lower LDL levels by 5 to 15 percent within weeks. Eating plenty of fruits and vegetables is a good way to avoid saturated and trans fats and keep your cholesterol in check. Many fruits and vegetables are also a good source of fiber, vitamins and minerals. Fresh fruits and vegetables can make a handy snack. Dried fruits can even be carried with you to snack on while traveling. There are several lifestyle changes you can make that might bring your cholesterol levels under control.